Thanks for reading my last post on pursuing perfect and for understanding that sometimes life, and blogging schedules aren't perfect. The weather is finally cooling down and in my opinion, it is the best time to get in the kitchen. Chilly weather means more nights at home and cozy, comforting foods. Since I am more inspired to get in the kitchen in the fall I thought I would share some recipes! This week, I have a round up of six different recipes using winter squash from some awesome dietitians. I challenge you to pick a recipe that uses a squash you have never cooked with before and give it a try! If winter squash intimidates you, turn to YouTube for some info and how-to's for cutting and cooking tricks and tips. 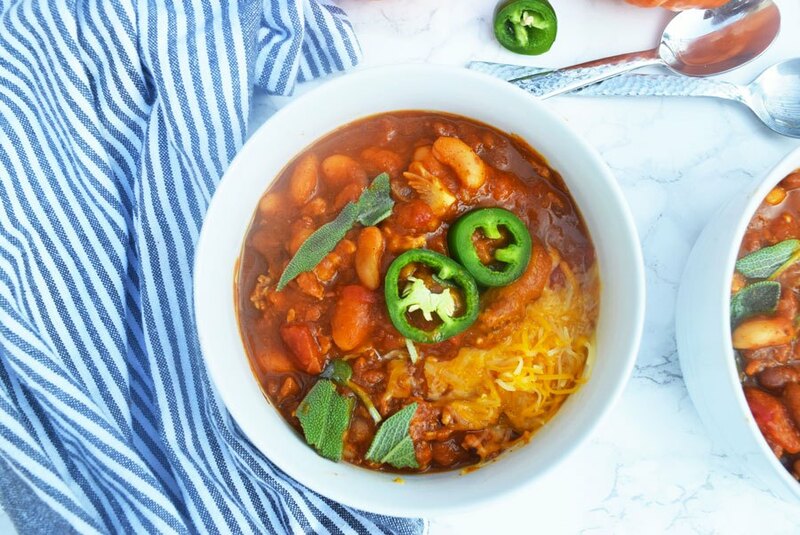 So much fall goodness jam packed in this chili. PS - it uses canned pumpkin, so if you're not ready to roast one yourself this recipe is a great pick! I may be biased, but I am obsessed with beets! This recipe uses lots of seasonal produce, and beet chips are the ultimate addition. Favorite winter squash right here! 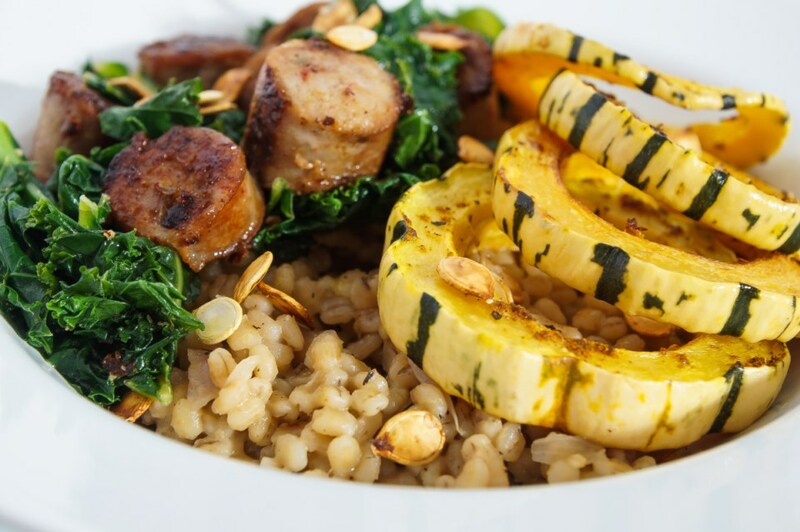 If you haven't tried delicata squash yet, then put it at the top of your next shopping list. This squash has a creamy texture and is oh so satisfying! A creamy sweet potato puree serves as the sauce here. Do you really need to know more? Check it out. This is my dream salad. Arugula is my favorite green and this combo with bleu cheese and apples speaks to me. Check out this simple salad that is easy to take to work! Have you ever stuffed acorn squash? It such a fun meal in one! So tell me...what is your favorite winter squash and what is one that you haven't tried but would like to? Any favorite Fall recipes? I would love to check them out! Newer Postdoes exercise stress you out?